All educational programs are regulated and approved by the Ministry of Education and Science of Ukraine and the Ministry of Health of Ukraine. 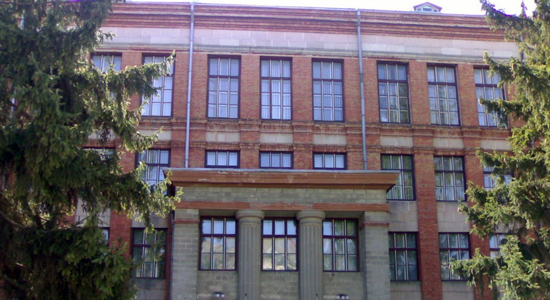 The degrees and certificates issued to graduated foreign students by EduPedia Overseas Universities are legalized by the Ukrainian Ministry of Health and Ministry of Foreign Affairs. We only offer recognized University programs by the World Health Organization. Students from India are eligible to sit for the National Board of Examination (NBE) and register with the Medical Council of India (MCI); after obtaining an “Eligibility Certificate” from the MCI prior to sitting for the Competency test conducted by the NBE and complying with any other guide-lines of the certification authority. Students and graduates of EduPedia Overseas Universities are eligible to sit for the licensure & certification examinations of many other countries such as Australia, Canada, New Zealand, UAE, Singapore etc. All students & graduates should educate themselves on the licensure policies in their respective home countries and countries where they propose to practice and prepare accordingly. Every student studying at Ternopyl State Medical University undergoes one year of clinical rotations in subjects such as Internal medicine, pediatrics, surgery, obstetrics and gynecology and other additive subjects during their final year of education. The certificate for the same can be obtained from Ukrainian Medical Council and EdufactsIndia helps its students to obtain the same. The Internship declares any student completing the curriculum as a complete doctor and the same is accepted all over the world except India. In India a student has to finish his screening test and undergo a compulsory rotatory internship in India before he/she gets his permanent registration in Medical Council of India or license to practice as a physician. Consent of personal data processing (please, fill in this concent in English, French, Russian or Ukrainian language).